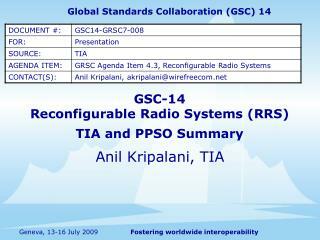 Global Standards Collaboration (GSC) 14. 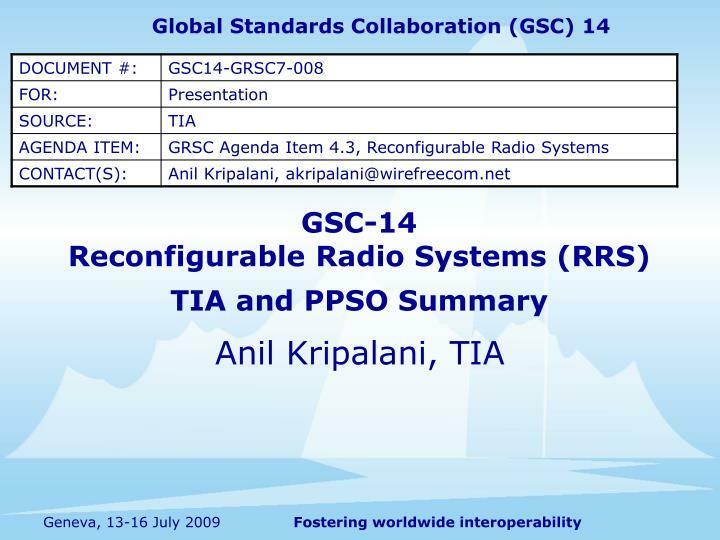 GSC-14 Reconfigurable Radio Systems (RRS) TIA and PPSO Summary . Anil Kripalani, TIA. 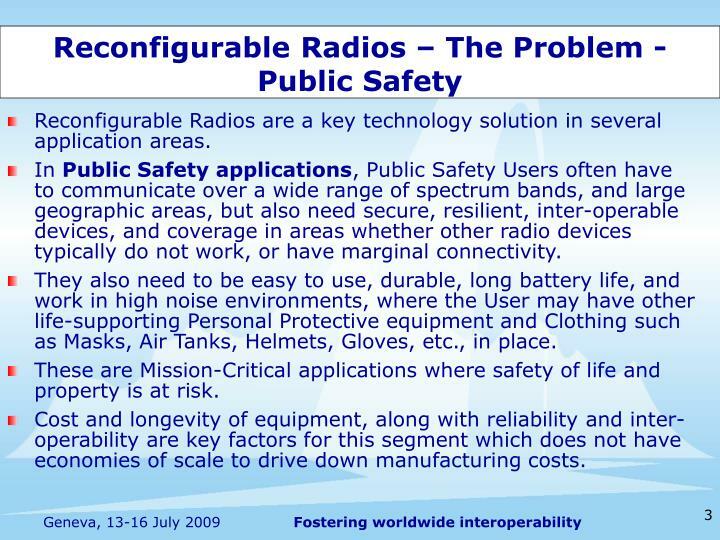 Reconfigurable Radios – The Problem - ITS. 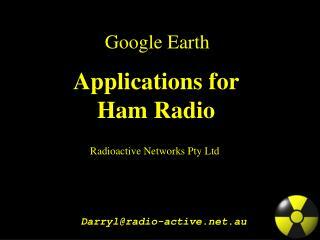 Reconfigurable Radios are a key technology solution in several application areas. 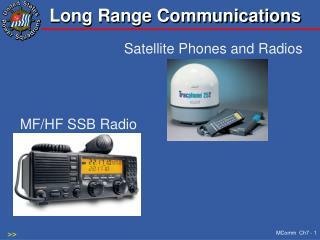 Reconfigurable Radios are a key technology solution in several application areas. 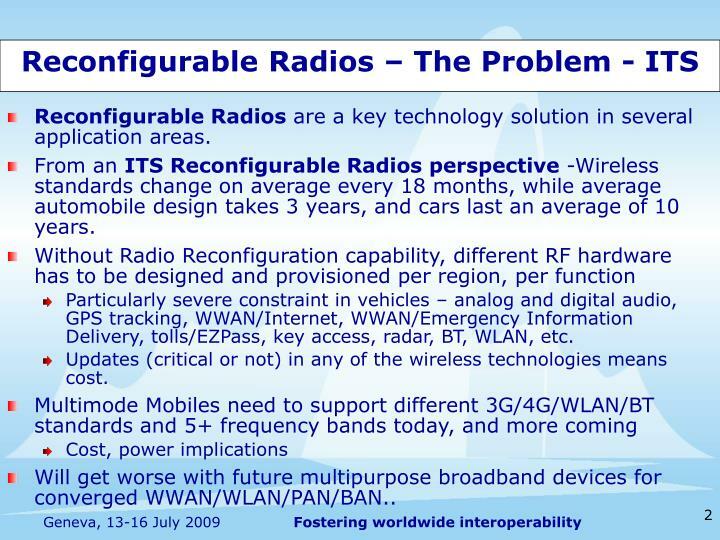 From an ITS Reconfigurable Radios perspective -Wireless standards change on average every 18 months, while average automobile design takes 3 years, and cars last an average of 10 years. 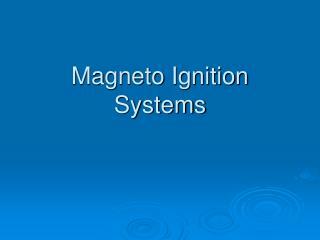 Particularly severe constraint in vehicles – analog and digital audio, GPS tracking, WWAN/Internet, WWAN/Emergency Information Delivery, tolls/EZPass, key access, radar, BT, WLAN, etc. 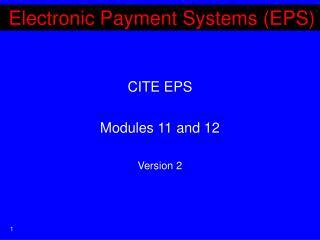 Updates (critical or not) in any of the wireless technologies means cost. 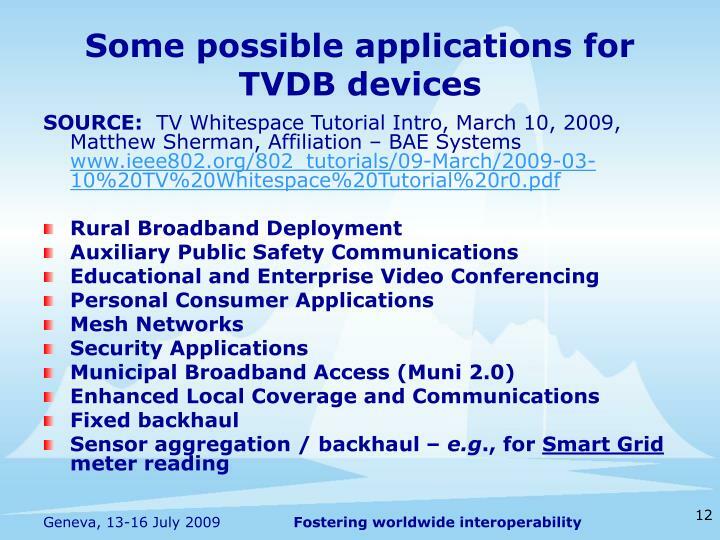 Will get worse with future multipurpose broadband devices for converged WWAN/WLAN/PAN/BAN.. 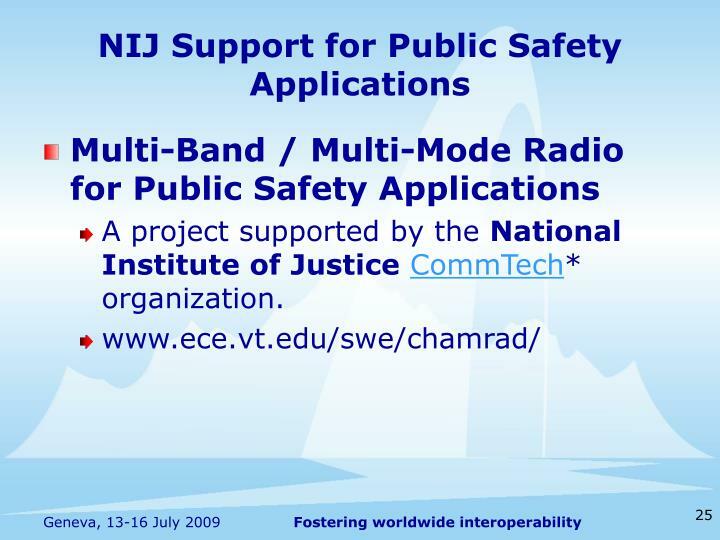 In Public Safety applications, Public Safety Users often have to communicate over a wide range of spectrum bands, and large geographic areas, but also need secure, resilient, inter-operable devices, and coverage in areas whether other radio devices typically do not work, or have marginal connectivity. They also need to be easy to use, durable, long battery life, and work in high noise environments, where the User may have other life-supporting Personal Protective equipment and Clothing such as Masks, Air Tanks, Helmets, Gloves, etc., in place. 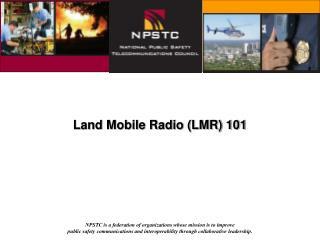 These are Mission-Critical applications where safety of life and property is at risk. Cost and longevity of equipment, along with reliability and inter-operability are key factors for this segment which does not have economies of scale to drive down manufacturing costs. 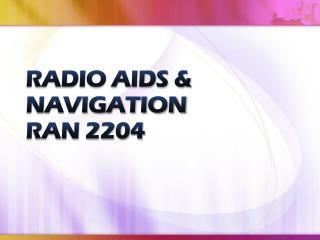 Reconfigurable Radios (RRs) are expected to be upgradable in the field to support future communications standards and applicable spectral bands. 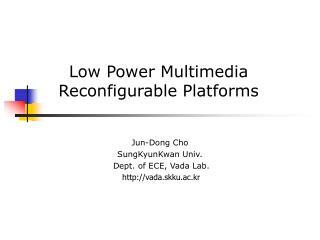 RR capable hardware is ‘software loaded’, i.e. 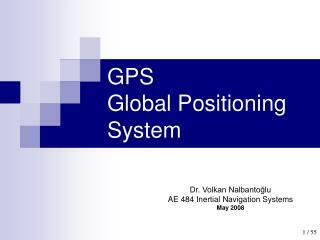 customized, for destination at appropriate point in supply chain. 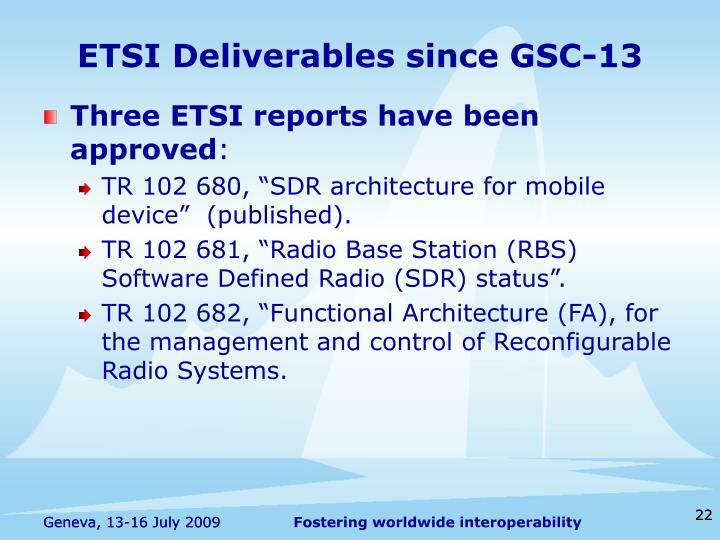 Some vendors have integrated RRs in deployed infrastructure and subscriber units already. 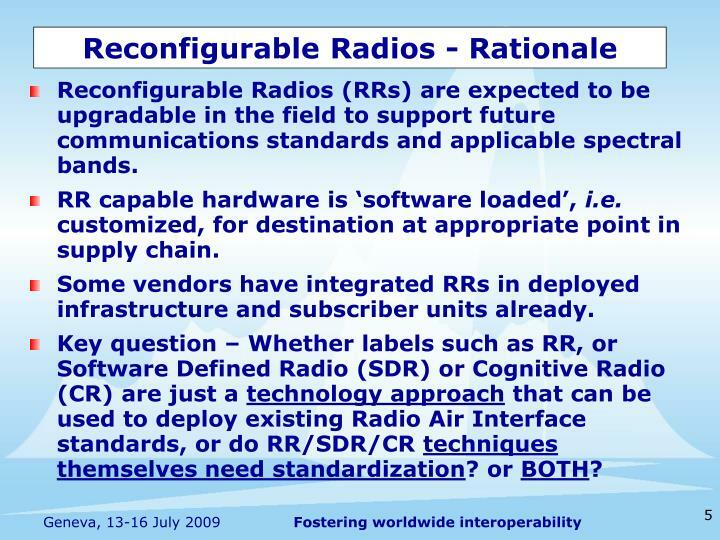 Key question – Whether labels such as RR, or Software Defined Radio (SDR) or Cognitive Radio (CR) are just a technology approach that can be used to deploy existing Radio Air Interface standards, or do RR/SDR/CR techniques themselves need standardization? or BOTH? 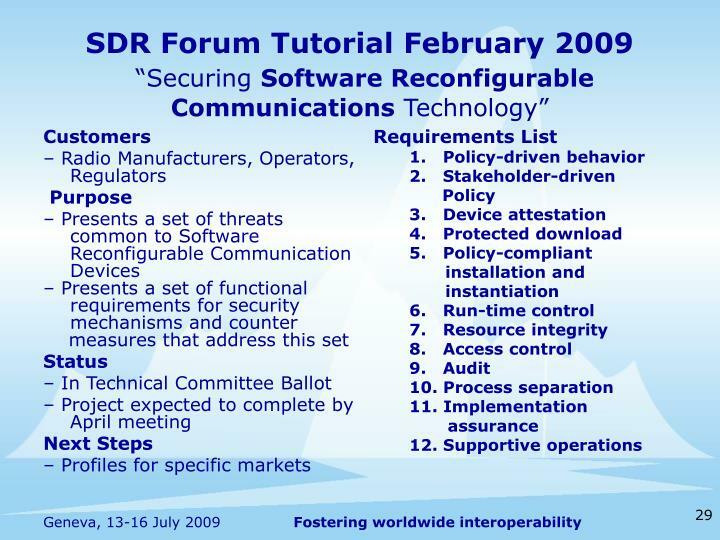 What “IS” a SDR, CR, or RR device? This question has been discussed in many fora over the last few years. 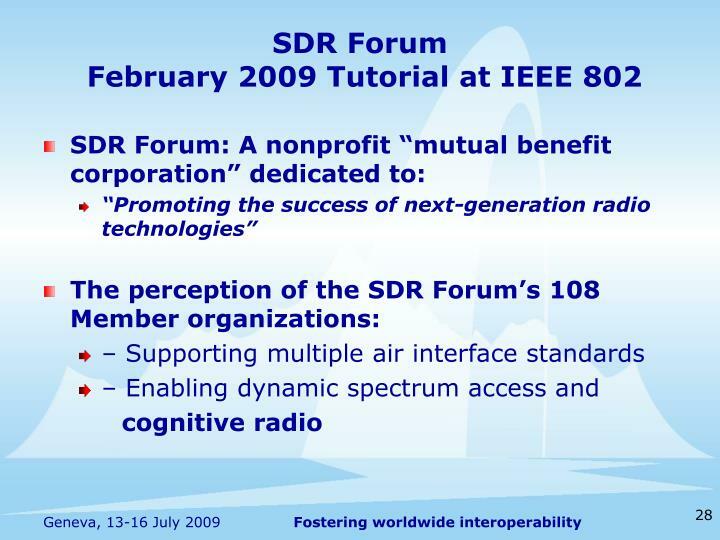 Do we use definitions from ITU, CEPT, EC, FCC, SDR Forum, or others? 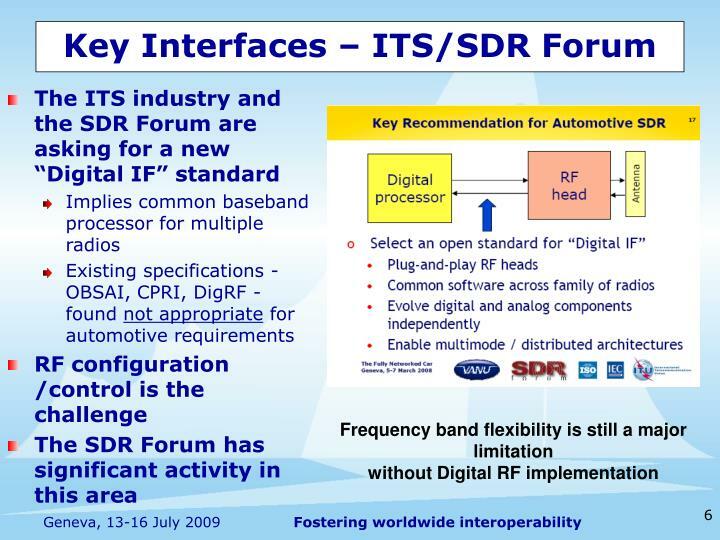 Some argue that SDR technology is application /implementation specific and that standardization would stifle technology advancement. Others advocate that Harmonized Standards already produced, or to be produced, would need to be reviewed where regulatory needs have to be satisfied. 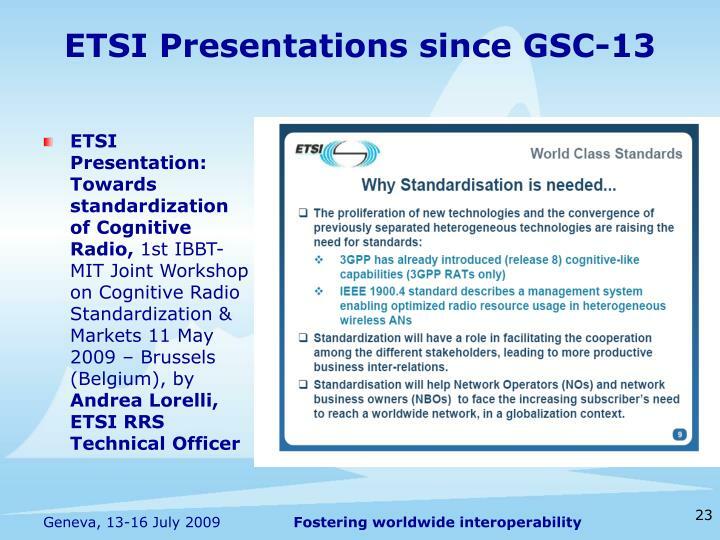 If there is support for SOME standardization what needs to be standardized? 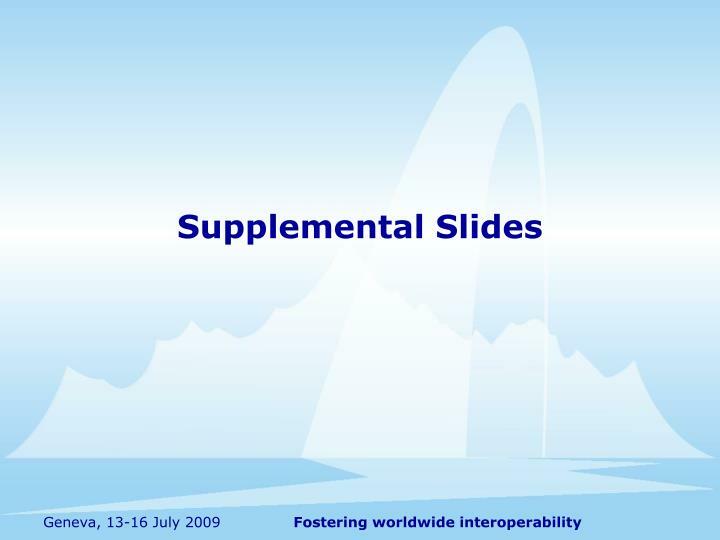 What subject areas are suitable for standardization? 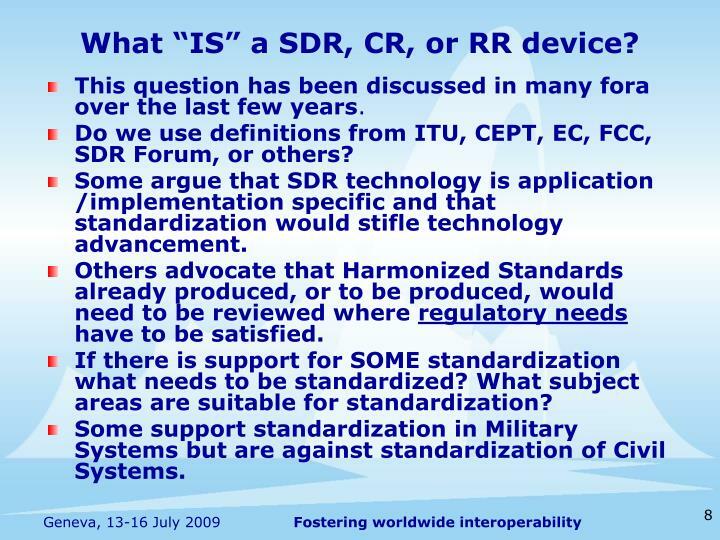 Some support standardization in Military Systems but are against standardization of Civil Systems. 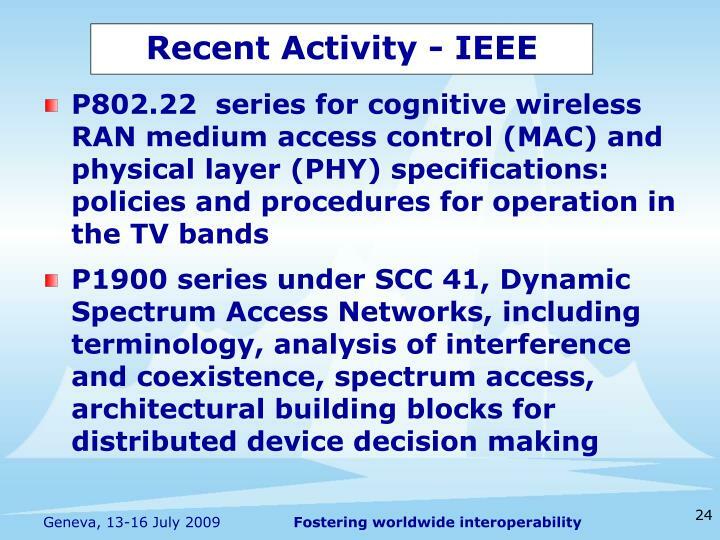 See IEEE 802.22/D0.2 “Draft Standard for Wireless Regional Area Networks Part 22: Cognitive Wireless RAN Medium Access Control (MAC) and Physical Layer (PHY) specifications. 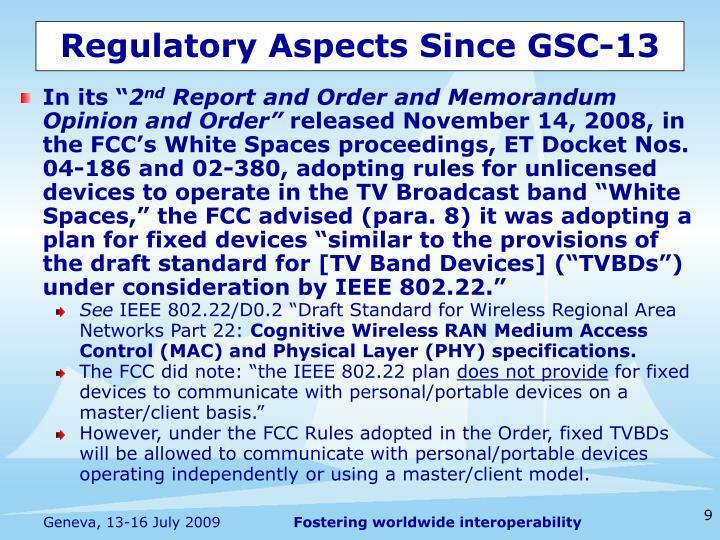 However, under the FCC Rules adopted in the Order, fixed TVBDs will be allowed to communicate with personal/portable devices operating independently or using a master/client model. 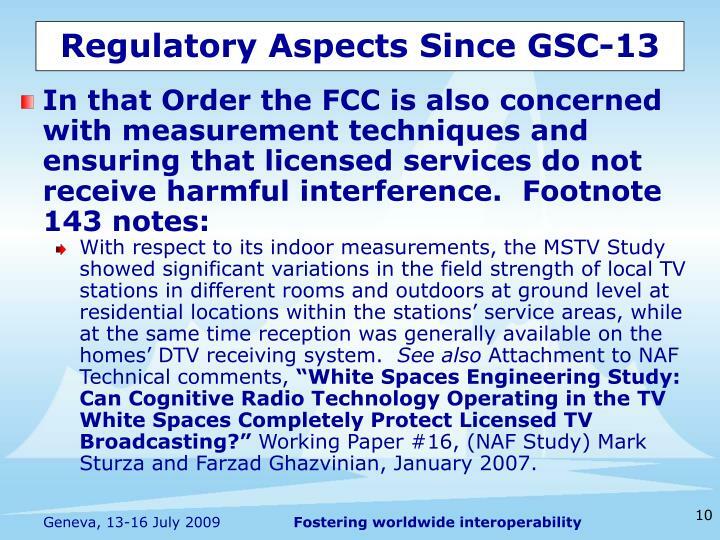 With respect to its indoor measurements, the MSTV Study showed significant variations in the field strength of local TV stations in different rooms and outdoors at ground level at residential locations within the stations’ service areas, while at the same time reception was generally available on the homes’ DTV receiving system. 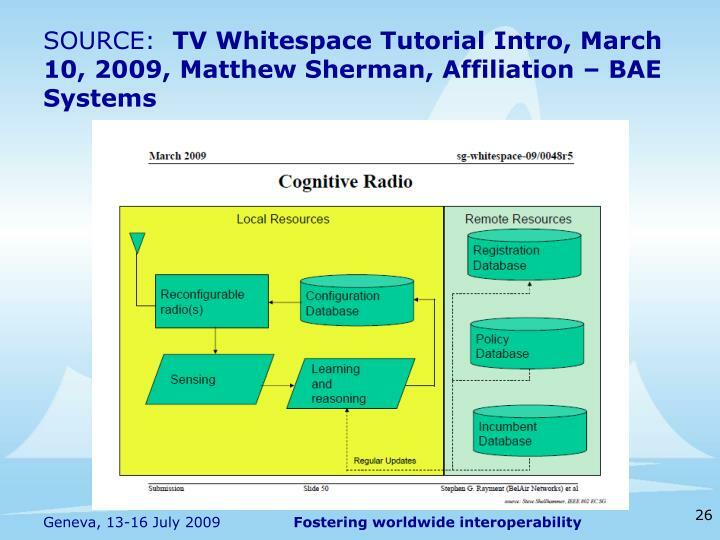 See also Attachment to NAF Technical comments, “White Spaces Engineering Study: Can Cognitive Radio Technology Operating in the TV White Spaces Completely Protect Licensed TV Broadcasting?” Working Paper #16, (NAF Study) Mark Sturza and Farzad Ghazvinian, January 2007. 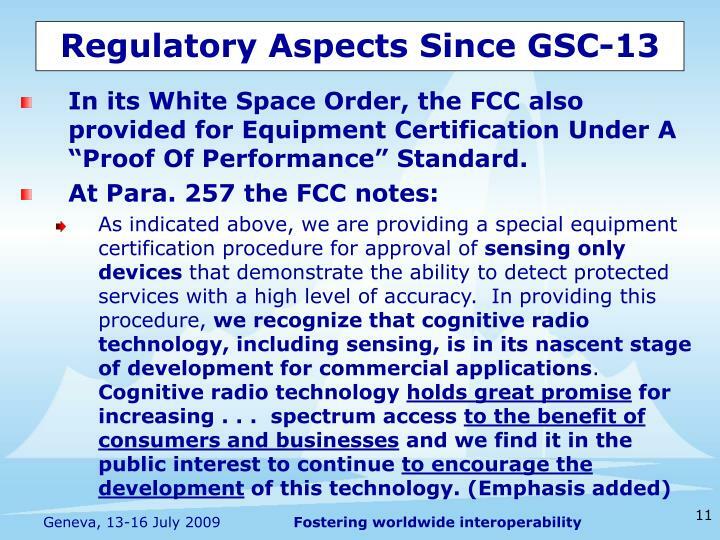 In its White Space Order, the FCC also provided for Equipment Certification Under A “Proof Of Performance” Standard. 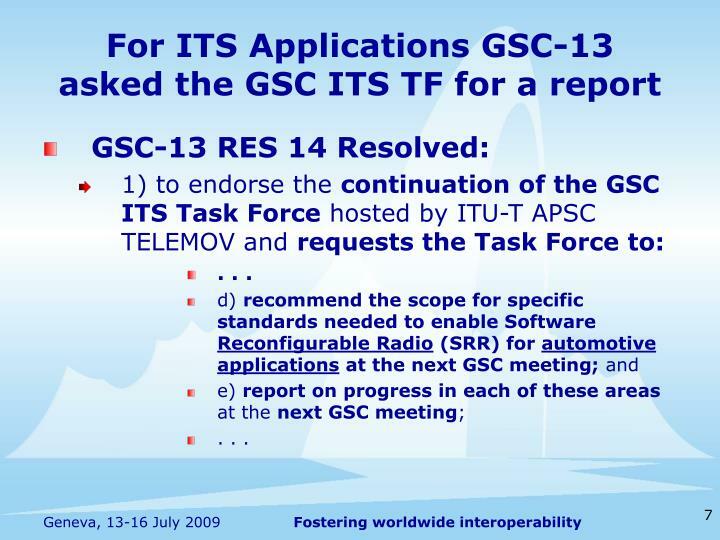 As reported at GSC-13 ETSI created a Technical Committee for Reconfigurable Radio Systems (RRS) in January 2008 to study the feasibility of standardization related to Software Defined Radio (SDR) and Cognitive Radio (CR). Liaisons with relevant regulatory bodies. 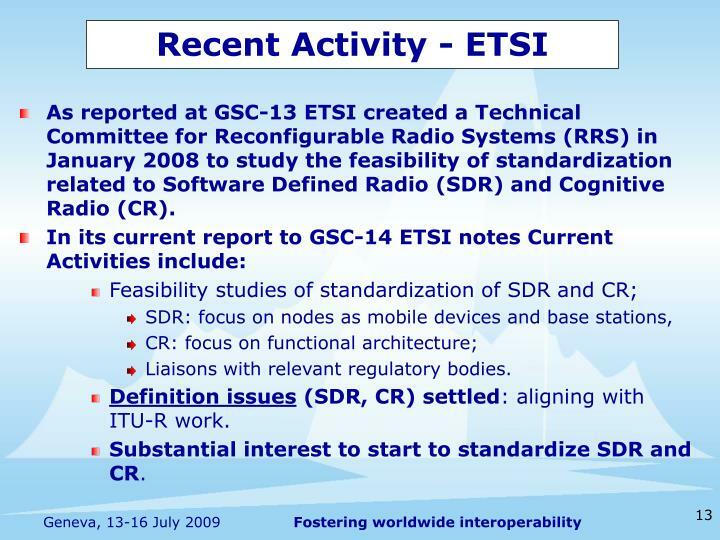 Definition issues (SDR, CR) settled: aligning with ITU-R work. 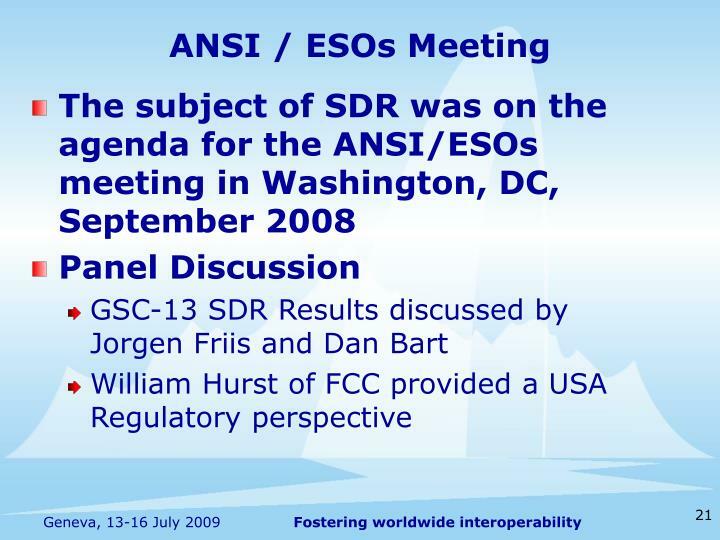 Substantial interest to start to standardize SDR and CR. 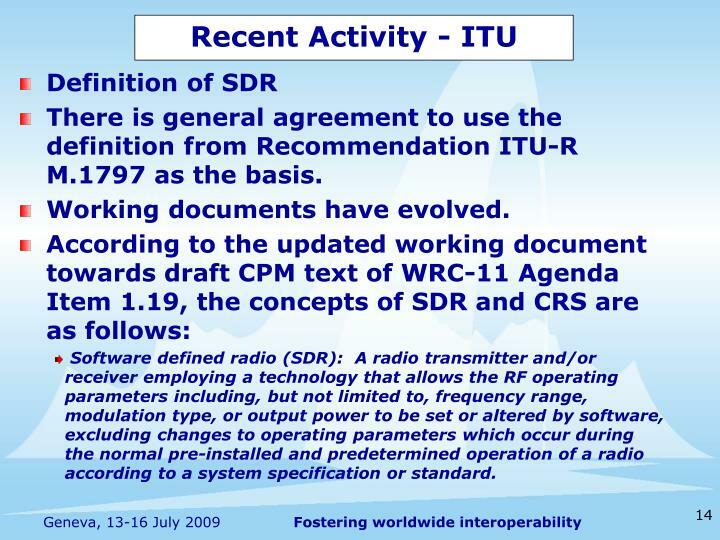 There is general agreement to use the definition from Recommendation ITU-R M.1797 as the basis. 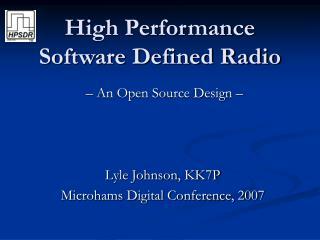 Software defined radio (SDR): A radio transmitter and/or receiver employing a technology that allows the RF operating parameters including, but not limited to, frequency range, modulation type, or output power to be set or altered by software, excluding changes to operating parameters which occur during the normal pre-installed and predetermined operation of a radio according to a system specification or standard. 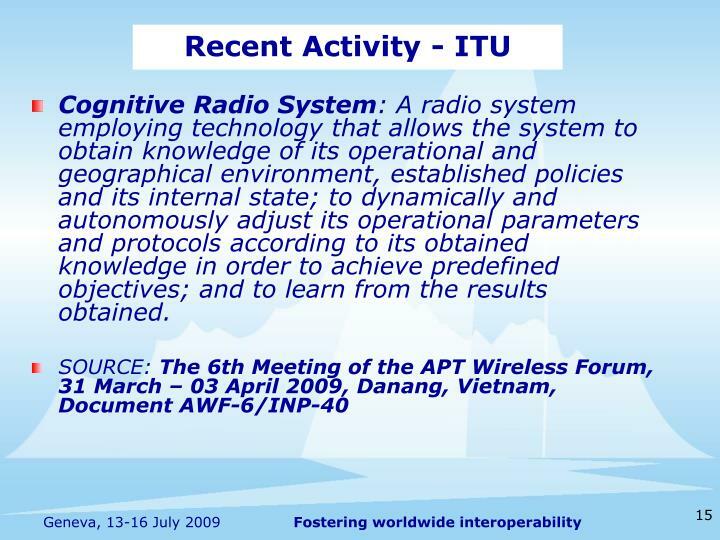 Cognitive Radio System:A radio system employing technology that allows the system to obtain knowledge of its operational and geographical environment, established policies and its internal state; to dynamically and autonomously adjust its operational parameters and protocols according to its obtained knowledge in order to achieve predefined objectives; and to learn from the results obtained. 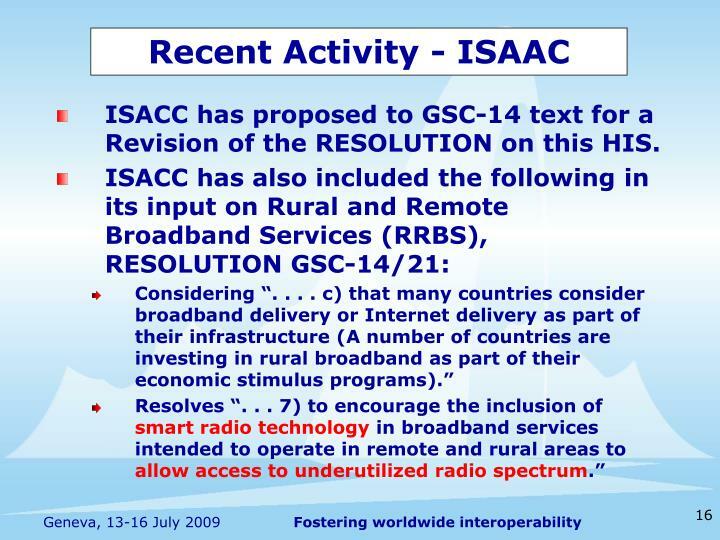 ISACC has proposed to GSC-14 text for a Revision of the RESOLUTION on this HIS. 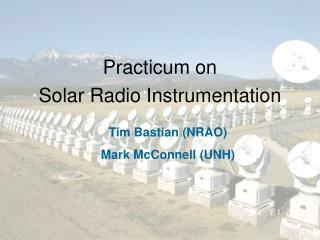 Users in TR-8 have expressed a desire to look at SDR aspects, and a subcommittee was created years ago, TR-8.7, but has been relatively inactive. 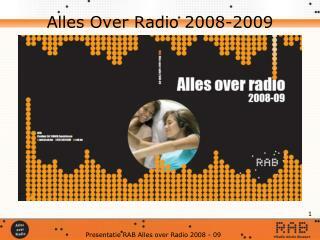 The P25 Steering Committee continues to get reports on the SDR Forum, and continues to have interest. 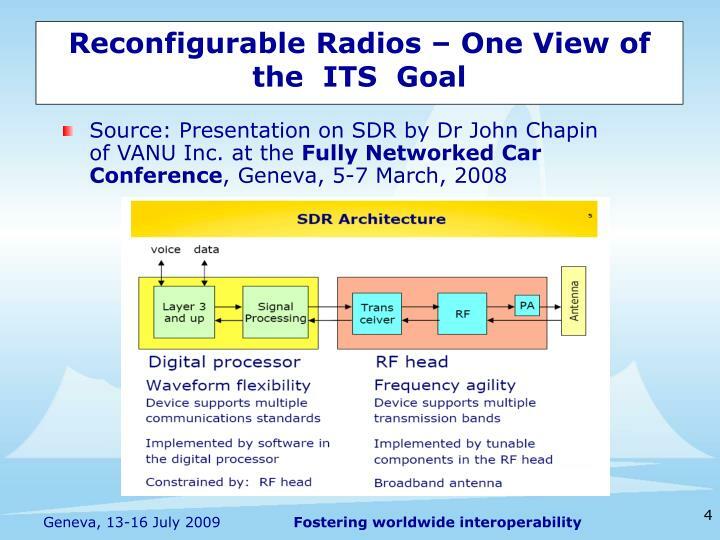 TR-8 Chair reported renewed interest in Software Defined Radio (SDR) work. 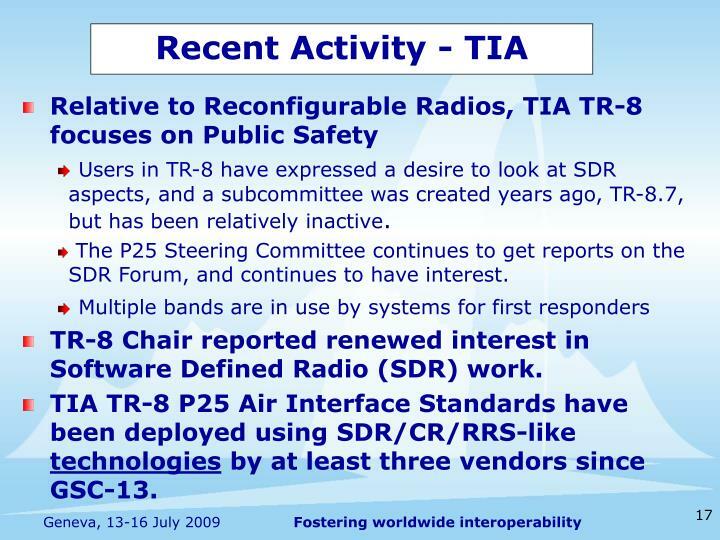 TIA TR-8 P25 Air Interface Standards have been deployed using SDR/CR/RRS-like technologies by at least three vendors since GSC-13. 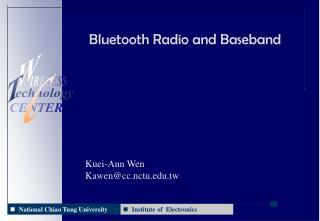 Also BT2.x/3.x, Zigbee, UWB, NFC, new CAI for BAN profiles, etc. 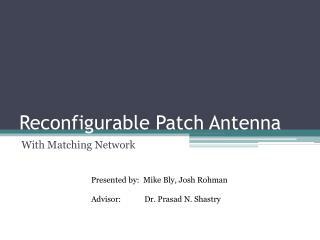 Tunable filters and amplifiers, broadband antennas. an implementation challenge, to achieve economies of scale. 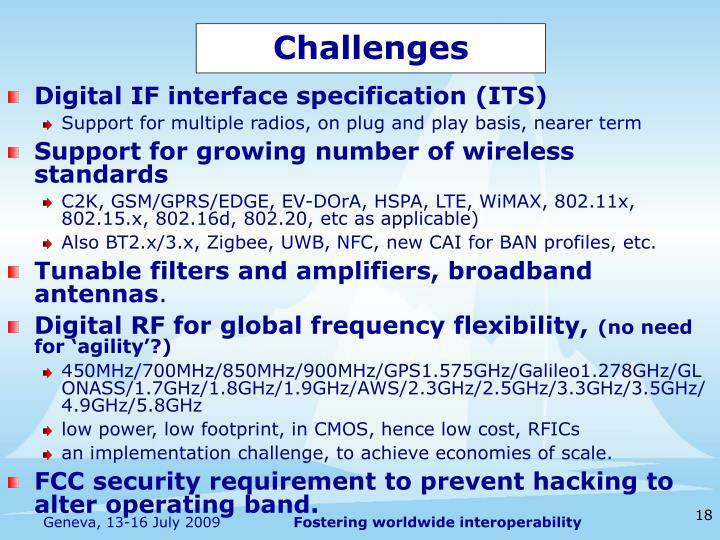 FCC security requirement to prevent hacking to alter operating band. 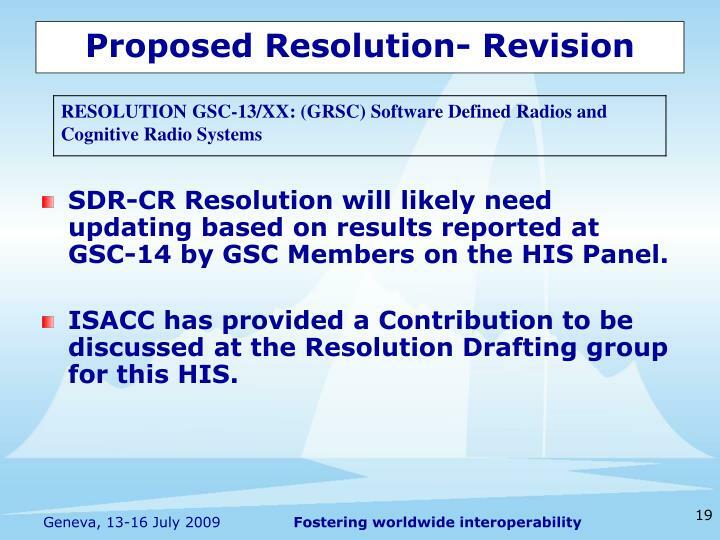 SDR-CR Resolution will likely need updating based on results reported at GSC-14 by GSC Members on the HIS Panel. ISACC has provided a Contribution to be discussed at the Resolution Drafting group for this HIS. 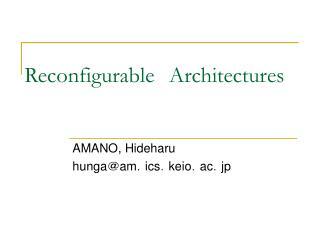 TR 102 680, “SDR architecture for mobile device” (published). 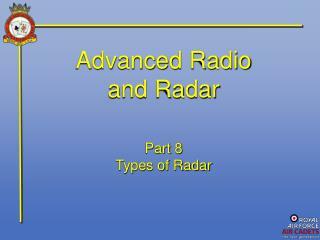 TR 102 681, “Radio Base Station (RBS) Software Defined Radio (SDR) status”. 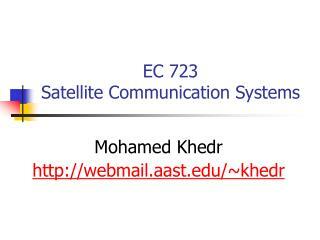 TR 102 682, “Functional Architecture (FA), for the management and control of Reconfigurable Radio Systems. 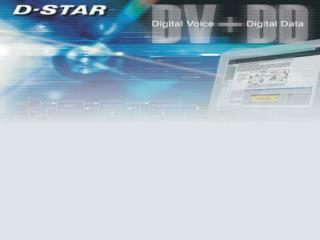 A project supported by the National Institute of JusticeCommTech* organization. Dynamic Spectrum Access is the real-time adjustment of Spectrum Utilization in response to changing circumstances and objectives. 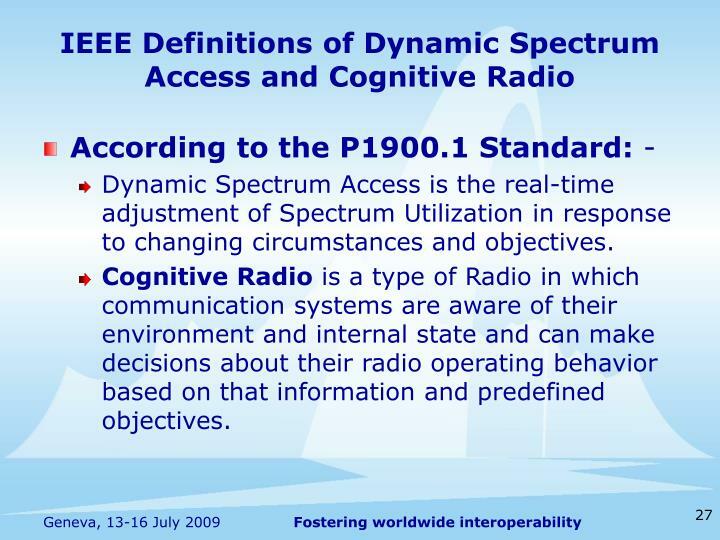 Cognitive Radio is a type of Radio in which communication systems are aware of their environment and internal state and can make decisions about their radio operating behavior based on that information and predefined objectives. 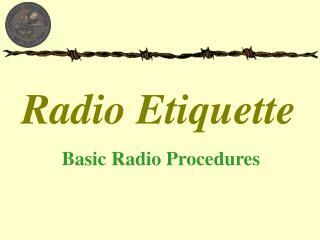 Radio Etiquette -. 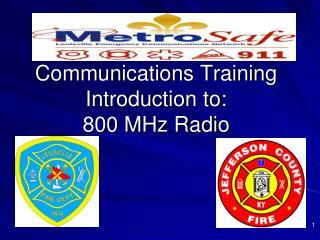 basic radio procedures. 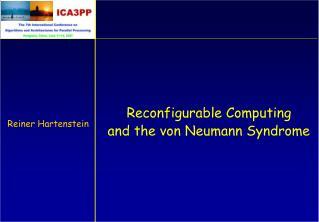 Programming Model and Protocols for Reconfigurable Distributed Systems -&amp;. 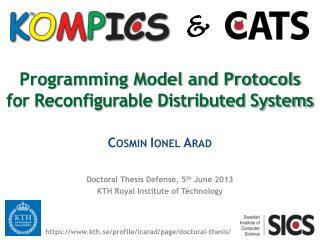 programming model and protocols for reconfigurable distributed systems. c osmin i onel a rad. https://www.kth.se/profile/icarad/page/doctoral-thesis/.